7:00 - 09:30 in our lovely conservatory or outside on the garden terrace on warmer summer days. 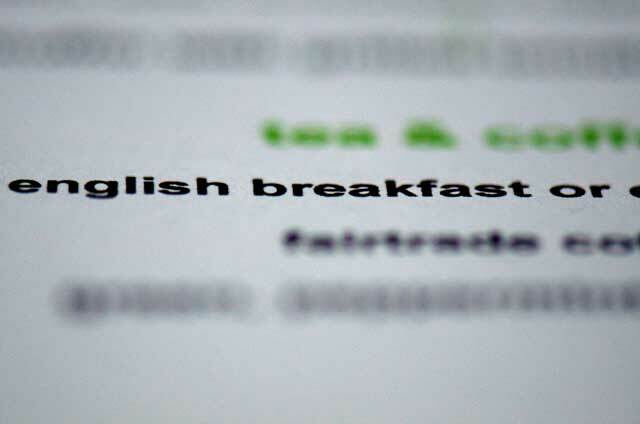 ​Continental breakfast can also be served in your room by prior arrangement. All our bathrooms have heavenly Bath House toiletries to refresh and recharge you after a busy day at the office, on the water or exploring our lovely Island. We have loads of books at ONEFIFTY. If you fancy a read during your stay, please feel free to browse our bookshelves and choose your selection. Put down that Kindle and re-discover a real book. We will offer you tea and coffee upon your arrival, but you are welcome to more at any time during your stay. You will also find full tea and coffee making facilities in your room. ​​For longer stays we can offer a same day laundry service should you require it.